During storm season last year we reminded you to check your roof for leaks. This year we’re going to talk about water intrusion in basements and foundations. We’ve had record level rain this year so the ground is extremely saturated. We all know what happens to trees when the ground gets saturated. Did you know that drenched dirt can cause other problems too? It can; things you would never imagine. 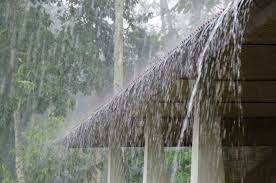 Profusions of rain can cause leaks in basements, crawl spaces and foundations. Don’t think you’re safe if your house is on a slab. Surpluses of rain can cause slabs to leak too. Large amounts of water can lead to major erosion problems under driveways, walk ways & patios as well. The other day, one of my preferred plumbers shared a story about one of her (that’s right; a lady plumber) clients who had so much rain pushing against their foundation the soil shifted causing the main water feed pipes to pull apart. As luck would have it, this happened in the middle of the night. The unfortunate homeowners woke up to no water in their pipes. However, their basement was like Lake Lanier; at full pool. BTW, the home was less than 10 years old and the reason the pipes came apart was the connections were not properly sealed by the builder’s plumber. And that’s a perfect example of why it is important to have new construction inspected by your own professional Home Inspector; which is another topic for another time. To be sure your home stays delightfully dry instead of miserably moist it is crucial that all water be directed away from the house. A popular infraction is downspouts that drain too close to the house. The 6” of end pipe that is common on most gutter downspouts is not enough to draw the water away from structure. Trays placed under gutters usually don’t help that much either; especially because they are often turned in the wrong direction. So what do you do? Remedies can range from simply adding extensions to existing downspouts to the more labor intensive of adding French drains & dry creek beds. If the property slopes (as most do in GA) years of erosion, run off and accumulation of leaf debris may require regarding of the soil away from the house. If you are experiencing any water intrusion issues and need help to evaluate or fix the situation we’ll be glad to connect you with the right person for the job. All you have to do is ask. Of course, we’re always glad to refer you to contractors for other household projects too. 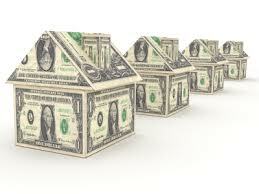 GREAT opportunity to learn about investing in real estate! For new and experienced investors. 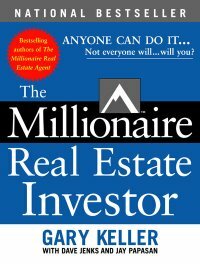 Based on the New York Times Best Seller, The Millionaire Real Estate Investor, The Workshop reveals proven and tested models to help you build a real estate investment portfolio. Book included FREE with Seminar! In addition to gaining an abundance of extremely useful information, our gift to you for attending is a copy of the book for FREE. Don’t miss this great chance to learn. Reserve your space NOW before they’re all gone. Just let me know if you, a friend, family member or colleague would like to attend and we’ll save a space for you. Class will take place at the Keller Williams Realty-First Atlanta office located at 200 Glenridge Point Pkwy, Ste 100, Atlanta, GA 30342. 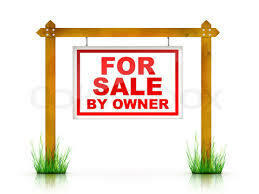 More sales-Per the National Association of Realtors® (NAR) 91% of homes sold in 2012 were by Realtors®. Higher sales prices-According to the same NAR study sales prices for homes sold by Realtors® were 23% higher than FSBOs. Multiple Listing Service (MLS)- The majority of homes are sold by Realtors® and Realtors® search the MLSs for properties, not Craig’s list, FSBO sites, etc. Most home search sites pull listings from MLSs too. 90% of buyers search the Internet for homes so FSBOs are cutting themselves off from a tremendous pool of buyers. Some sellers believe their house will gain exposure from other homes in the neighborhood that are listed with a Realtor® and in the MLSs. That is not always the case, especially if their home if different from the listed homes; i.e. ; FSBO is a ranch, other homes are 2 stories. The buyer searching for a ranch home wouldn’t be in the neighborhood to see the FSBO because they aren’t interested in a 2 story home and had no way of knowing about the FSBO ranch. That represents a lost opportunity to the FSBO. Negotiation-Selling one’s home can be a very emotional process, emotion can cost HUGE and ruin a deal. Realtors® provide an excellent buffer zone between parties and provide expert advice throughout the entire process to help keep things on track and avoid making expensive errors. Understanding the contract-There are so many ways to make costly mistakes, it would be impossible to list them all. Common errors include misinterpreting the contract, missing deadlines and not understanding consequences for failure to fulfill obligations. Realtors® will help you avoid those expensive pitfalls. So if you or someone you know is considering selling a home as a FSBO you owe it to yourself to consult with a Realtor® first. Of course, I would be delighted to be included in the interview process! I’m ready when you are! Look forward to the opportunity to earn your business! Today’s buyers are very smart and well informed. They’ve been out there shopping and are very familiar with inventory and sales prices. Buyers are also being very conservative and are extraordinarily cautious about making one of the biggest investments in their lifetime. They may look at a house they think is overpriced. However, they will not make an offer. If a listing has had 10 showings with no offers or the house has been on the market for 2 weeks and with less than 10 showings; there is a problem! Since homes that show well and are priced right are selling so quickly buyers wonder what’s wrong with the house if it has been on the market for 7 to 10 days without an offer; which is another new dynamic that has arisen from our constantly changing market. One of the first pitfalls of overpricing is it will result in a lower offer than if the property had been properly priced from the start. There is a direct correlation between days on market and sales price. The longer the home is on the market, the lower the sales price. Appraisals are another potential pitfall for overpricing. Just because a home sold for a certain price doesn’t mean it will appraise for the sales price or higher. If the appraised value comes in less than purchase price the seller may have to accept a lower purchase price if the buyer is unwilling or unable to pay cash for the difference. Appraisals are based on sales activity during the past 6 months. Right now that puts us in December 2012. Significant price increases began in March & April. Therefore, it will be Fall before we have 6 months of solid sales prices. Lastly, some sellers question whether they left something on the table or should have priced higher when their homes are under contract within days of listing. The answer is a definitive NO for the reasons stated above! Being under contract in a matter of days means you and your Realtor® did your jobs well and have been rewarded with desired result; a contract. If you or someone you know would like to take advantage of the unique opportunities presented in today’s market, contact me TODAY!